This is the next step up from the 'Let it Grow' wilderness area. You will be preparing the soil and adding a mix of seeds, ensuring even more colour and variety. There is no site too small for a wildflower patch, even a large container is fine if space is tight. You can buy wildflower seed mixes online or from your local garden centre but do make sure you are planting native Irish wildflower mixes. The seed packets will have instructions on how to prepare your container/ plot. 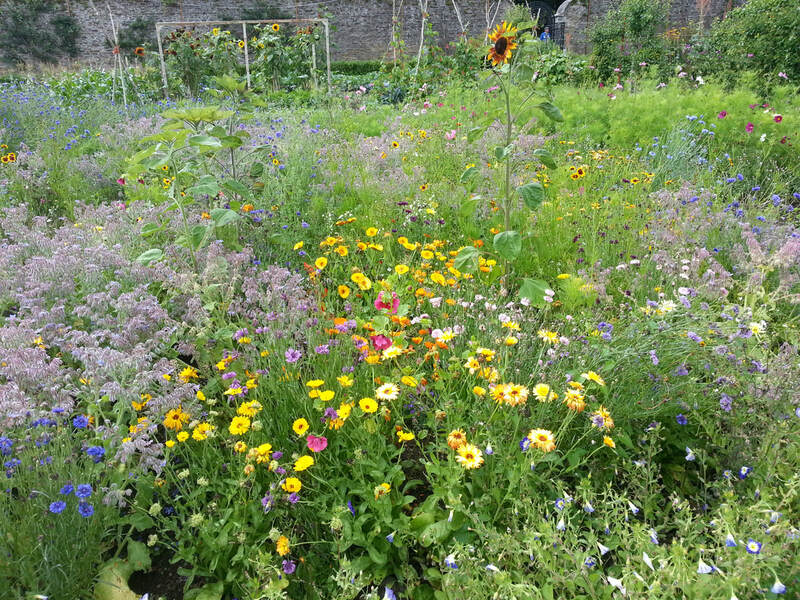 A beautiful wildflower patch at Woodstock Gardens, Inistioge, Co. Kilkenny. A thin strip of grass turned into a wildflower patch by Maghera Tidy Towns, Co. Cavan.